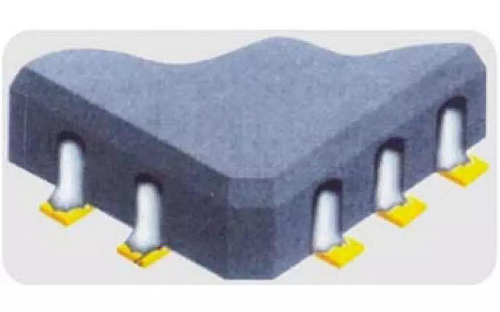 First, the "castle" shape leadless device welding process requirements. 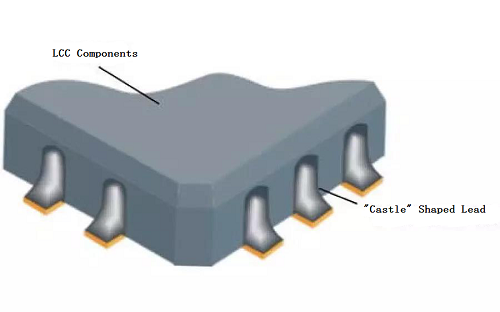 The "castle" shaped leadless device has the soldered end like a castle gate, so the square leadless chip carrier device is called a "castle" shaped leadless device in the industry, and it can also be called LCC components . The "gate" of the LCC components is connected to the bottom soldered end, and the soldered end of the bottom is soldered to the corresponding pad on the PCB to complete the device function. Their appearance is as shown. (1)The tin on the lead-out of the device does not cross the boundary. The solder joint spreads over the entire pad. The solder climbs up to the top of the lead-out and the solder joint is wet. This situation is considered good, as shown. (2)The maximum side offset is "A" cannot exceed 25% of the castle width "W", otherwise it is considered unqualified, and "H" is the height of the castle, as shown. (3)The solder joints on the pads are well wetted, but there is no solder on the "castle" door, or the solder is too small, only the "F" height (F is the tin thickness on the pad), which is considered unqualified; the solder on the height H of the castle The requirement should be more than two-thirds of the height of F plus H, in order to be considered qualified welding, as shown. (4) If the solder on the "castle" door has good wettability, but the solder wettability on the pad is not good, this situation should also be considered as unqualified, as shown. (5)When the LCC device is mounted on the pad, it must have a distance of "B". That is to say, the pad should be visible after the device is mounted. This "B" is the distance from the edge of the pad to the pinout of the device. Shown. This distance should be determined according to the size of the device model. If the end offset is almost no "B" distance, the soldering will cause the device to be unreliable. This installation should be considered unacceptable. BGA (Ball Grid Array) surface array package device technology research began in the 1960s, was first adopted by IBM in the United States, but until the early 1990s, BGA really entered the practical stage. 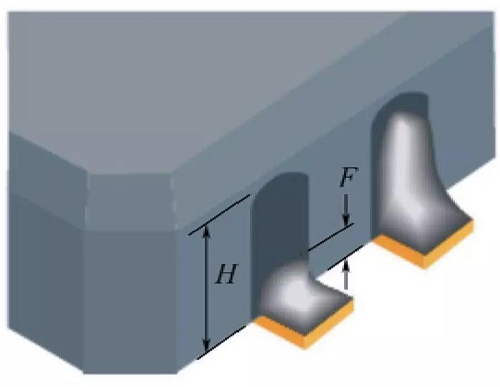 The limitation of fine pitch devices (such as QFP) is that the thin pins are easy to bend, brittle and fragile, and require high flatness of components and placement accuracy between leads. 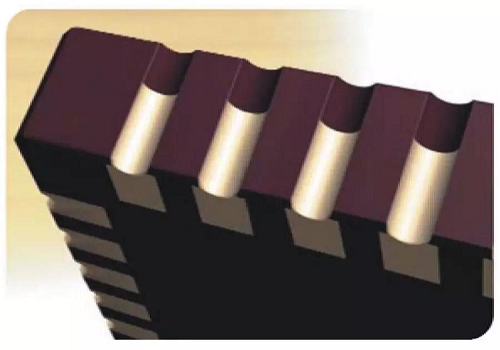 The BGA technology adopts a brand-new design thinking method, which adopts a structure in which a circular or columnar point is hidden under the package device body, so that the solder ball pitch is large and the solder ball length is short. Compared to the same size QFP device, the BGA can provide up to several times the number of pins, which can greatly improve the solder pass rate and the single success rate for surface assembly. The main structure of the BGA is divided into three parts: the main substrate, the chip and the package. 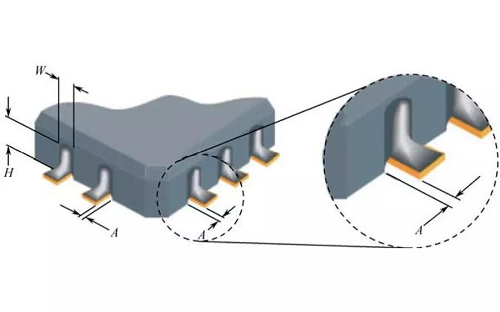 One side of the substrate is a soldered surface, and the other side is a package surface of the chip. The spherical welding on the welding surface is arranged in a matrix. The substrate is a particularly fine printed circuit board in the form of double and multi-layer boards. The substrate with a large number of terminals is generally a multi-layer board, and the inside is a wiring layer, a power supply, and a ground layer. It is sufficient to use a double panel for a substrate having a small number of terminals. The IC chip is connected to the substrate in a COB manner on the chip package surface. Shortly after the advent of the BGA device, the CSP, the same package as the BGA device, appeared again, and this device was sometimes called a small BGA. CSP (Chip Size Package) refers to a single-chip package technology with a package size equal to or slightly larger than the bare chip area. 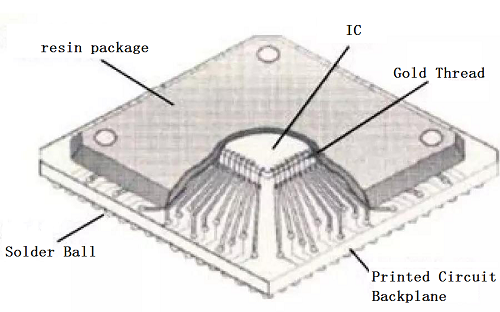 Its structure is actually an improvement and extension of the basic form of packages such as LOG (Lead on Chip) and BGA. 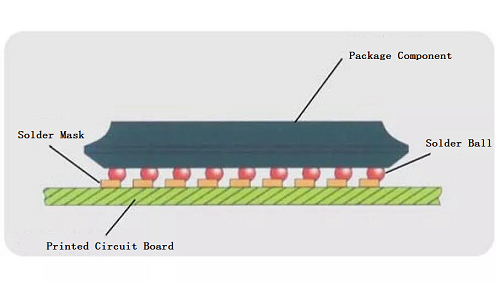 The surface array pin structure of the CSP bottom solder ball makes the device close to the chip size. This high-density, small, and thin component makes electronic products such as mobile phones, camcorders, and digital cameras smaller and smaller. 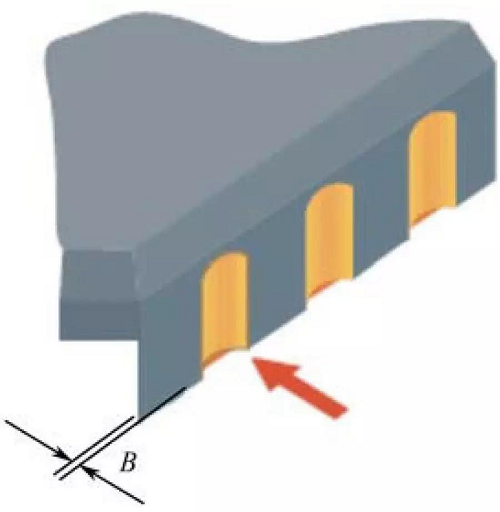 For a 0.65mm (pin pitch), 160-pin QFP device area of 1, the same pin count CSP, its footprint is only 0.17. The appearance and partial cross-sectional structure of the surface array pin devices are shown in Figure 18. Their side and bottom views are shown in the figure. 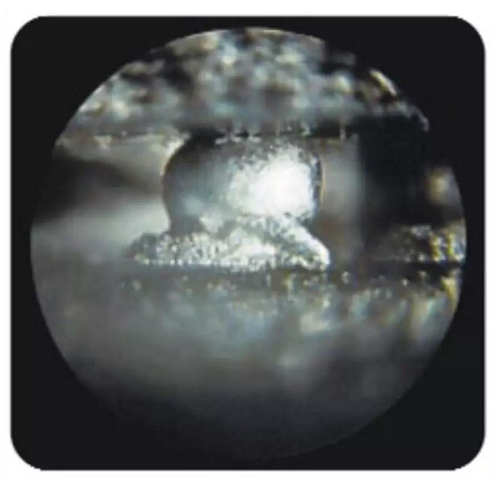 The soldering process and qualification conditions of the ball grid array devices BGA and CSP can be determined by referring to the following assembly process and welding requirements. 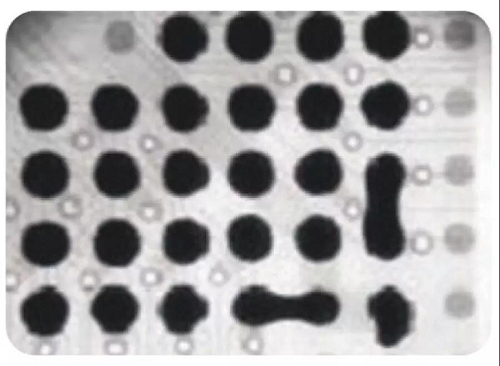 Good soldered ball grid array device solder joints should be uniform in size and shape, such as the "C" gap in Figure 20, and without bridging; BGA solder balls are wetted, and elliptical or stud-shaped solder joints should be formed on the pads. The excellent placement of BGA devices is that the solder balls and pads are completely overlapped and coplanar. If the ball grid is placed slightly offset during assembly, but the solder ball corresponds to more than two-thirds of the pad area, and the solder ball meets the coplanar process requirements, such assembly is acceptable because the solder balls melt when soldered Self-correcting can pull this slightly offset mount. BGA, CSP ball grid array devices show several unqualified conditions in X-ray inspection. 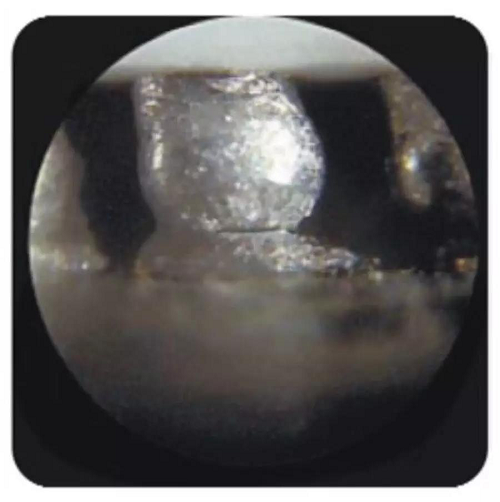 (1)Visual inspection can be used to observe the bridging of the solder balls under X-ray inspection. 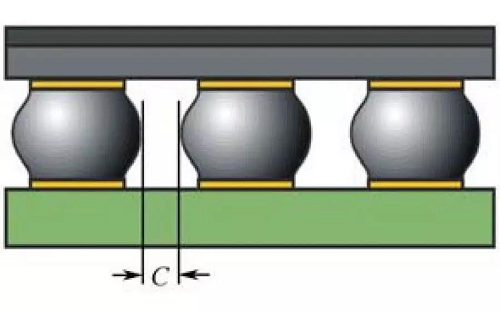 This bridge connection generally exhibits a "waist shrinkage" phenomenon, which means that the solder balls on the solder balls and the pads are not fused together, or the pads. Not completely wetted. (2)Since the parameter setting of the reflow oven is unreasonable, the soldering temperature may be low, and the solder paste at the solder ball is not completely melted, resulting in a solder joint that is not completely melted as shown in the figure. (3)The solder ball has cracks and the solder joint does not form an ellipse or a column shape.